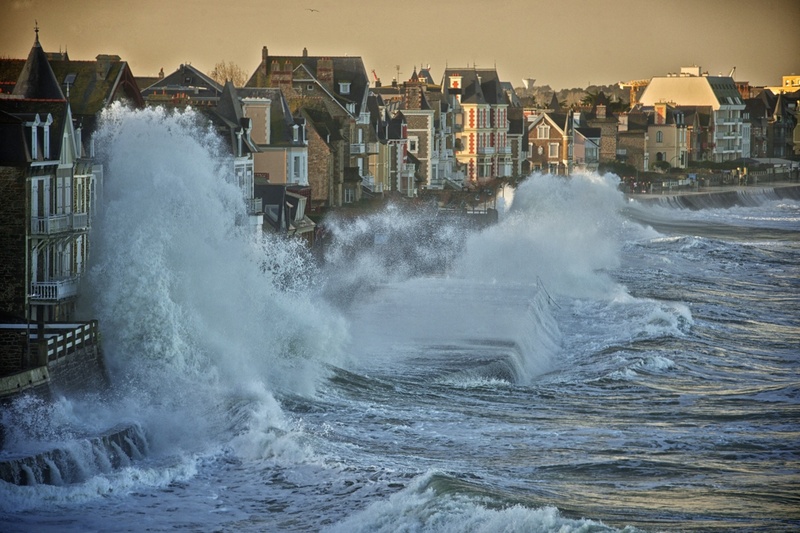 The life in the Saint-Malo is dictated by the tides. It’s one of the places with the most severe tides, which is why they also had the first tidal power plant in Europe. You’ll hear locals referring to the Grande Marée, heated discussions over whether the waves were 20 or 30 metres high. The old town, Intra-Muros, is like a little village in itself. Though there are lots of modern shops due to summer tourism, the locals are pretty relaxed. Shop keepers will be sitting in the café vis-à-vis, chatting away with their neighbours until a customer needs them. In the tiny market in the hall you’ll find about everything to survive in Bretagne, seafood and cheese. What else could you want? Staying with a host family who’s lived in Saint-Malo all their life, I got a pretty authentic experience of Breton life. And yes, there was a lot of seafood. And cheese. And dessert. Having eaten mostly vegetarian all my life, all kinds of seafood are new to me. Out of curiosity I give most of it a try (except mussels and oysters, I am not there yet…) but often I just don’t really enjoy it. So I have to listen to the shock of the guy who proudly keeps his own crab cage, “What?! She didn’t like the lobster?!! Your photos are amazing! So many details captured so beautifully. I also love your response to seafood. I tried oysters for the first time this year and wasn’t a fan. However, I have noticed that although I don’t like shrimp, squid, or mussels, when they’re deep fried, I do like them. Thank you so much Esther! Yes, I believe that, that’s how I started eating olives. Thank you! It surprised me a little how gloomy it was, I remember it so differently from last time.